Create dynamic behavioral customer segmentation to personalize offerings & effective marketing campaigns. The solution comes with pre-built Industry advanced analytics models like propensity to buy, churn predictor, Customer Retention Risk, CLV, etc. for a faster Return on Investment (ROI). Use machine learning to update models to improve life event prediction and product propensities. Continually improve on smarter decision making with use. 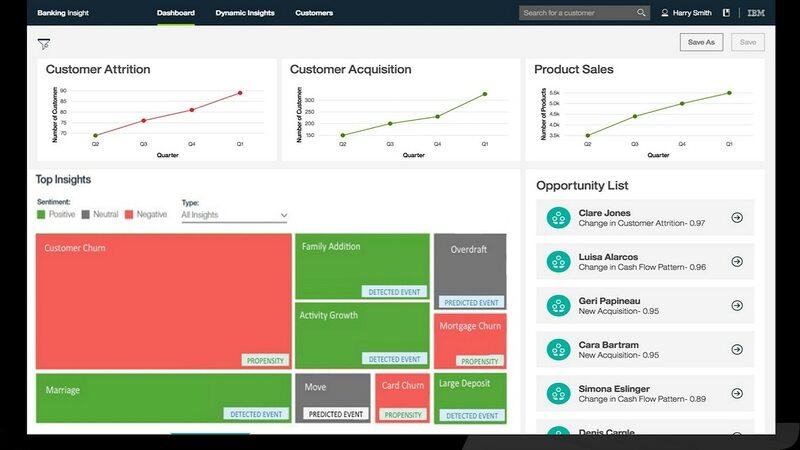 Put insight into action via marketing platforms, CRM systems, Chatbots and Dashboards.